HONOLULU -- A 16-year-old boy stowed away in the wheel well of a flight from California to Hawaii on Sunday, surviving the trip halfway across the Pacific Ocean unharmed despite frigid temperatures at 38,000 feet and a lack of oxygen, FBI and airline officials said. Paramedics carried away the teenage boy on a stretcher. It wasn't until an hour after the plane landed that a witness saw the 16-year-old stumble onto the tarmac in a daze, reports CBS News' Danielle Nottingham. "He looked pretty good from what I could see. 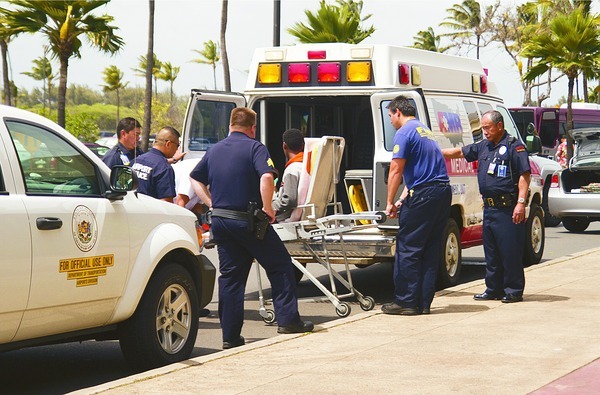 Again the juvenile didn't appear dirty or greased up from claiming to be in a wheel well," said Marvin Moniz, Kahului Airport Duty Manager. FBI spokesman Tom Simon in Honolulu told The Associated Press on Sunday night that the boy was questioned by the FBI after being discovered on the tarmac at the Maui airport with no identification. "(The) kid's lucky to be alive," Simon said. Moniz told CBS Honolulu affiliate KGMB, "I would imagine flying (at that altitude), it would be very cold. Also ... that wheel well really is not pressurized or temperature controlled, so it would be a miracle to have survived." Simon said security footage from the San Jose airport verified that the boy from Santa Clara, Calif., hopped a fence to get to Hawaiian Airlines Flight 45 on Sunday morning. The child had run away from his family after an argument, Simon said. Simon said when the flight landed in Maui, the boy hopped down from the wheel well and started wandering around the airport grounds. "He was unconscious for the lion's share of the flight," Simon said. The flight lasted about 5.5 hours. "(He) doesn't even remember the flight," Simon said. "It's amazing he survived that." A call and email message to a Mineta San Jose International Airport spokeswoman were not immediately returned. Officials at Kahului Airport referred questions to the State Department of Transportation, which did not return a phone call seeking comment. A Transportation Security Agency spokesman who declined to be named referred questions to the FBI and airport authorities. In a statement, Hawaiian Airlines said: "Our primary concern now is for the well being of the boy, who is exceptionally lucky to have survived." In a statement, the FAA said: "From 1947 through 2014, including the April 20, 2014, incident, there have been 94 flights involving 105 people who stowed away. Of those 105 people, 80 died and 25 survived. The last known survivor of a stowaway incident was in August 2013 on a domestic flight within Nigeria, Africa. The last fatality was found at Dulles International Airport in February 2014. The flight traveled from Johannesburg, South Africa on February 12, 2014 and then on to Dakkar, Senegal, and landed at Dulles on February 14, 2014." In the August stowaway incident in Nigeria, a 13- or 14-year-old boy survived a 35-minute trip in the wheel well of a domestic flight. Authorities credited the flight's short duration and altitude of about 25,000. Others stowing away in wheel wells have died, including a 16-year-old killed after stowing away aboard a flight from Charlotte, N.C., to Boston 2010, and a man who fell onto a suburban London street as a flight from Angola was landing in 2012. In a report commissioned by the FAA, officials concluded that individuals rarely survived at 35,000 feet, where temperatures can drop to 65 degrees below Fahrenheit, but it is not impossible. "Despite the lack of pressurization, or personal O2 equipment, the presence of warm hydraulic lines in the wheel-well and the initially warm tires provided significant heat," the report stated. "The stable climb of the aircraft enabled hypoxia to lead to gradual unconsciousness. As the wheel-well environment slowly cooled, hypothermia accompanies the deep hypoxia, preserving nervous system viability. With descent, and warming, along with increasing atmospheric oxygen pressure, hypoxia and hypothermia slowly resolved. At the ramp, with individuals were found in a semi-conscious state, and, upon treatment, recovered."